Every couple of months or so I take a couple of days of work and venture south in the hope of catching a really big fish or two. I see these trips as a special treat – something to look forward to. Some people would be put off by the travelling but when you look back over the years you remember the fishing and not the motorway tedium. Travelling with friends can make the journey fly by as most of the trip seems to be spent talking about fishing. 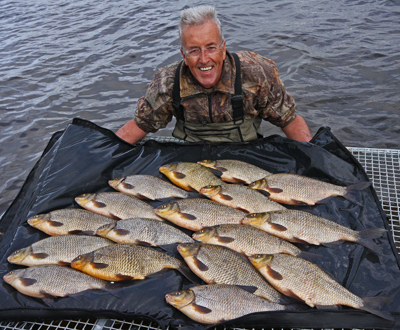 With big fish on our minds, Bob Roberts and I headed a couple of hours down the M1 to tench mecca, Sywell Reservoir in Northamptonshire. Bob hadn’t been before so I was worried whether he’d like the place and if we’d catch or not. After arriving in the car park we jumped out when went for a quick look at the water. It was packed, even for a Saturday. When I say packed I mean there were ten anglers there, on ninety acres of water. Only nine acres each! I can’t understand why more anglers don’t visit what must be the most accessible and productive day ticket tench venues in the country. It the morning sunlight the water looked wonderful with the famous dam wall to the left and the reed lined eastern arm to our right. Back at the car we loaded up the barrow and headed as far up the eastern arm as we could, settling in an area that where a couple of huge reed beds extended out into the deeper water – just the sort of feature that tench like to patrol. A few minutes with the marker rod showed that the weed free hardpack clay margin sloped off to around five feet deep, then at around the fifteen yard mark there was a marked increase in the amount of weed. I decided to fish up to the edge of the thicker weed as I knew this would certainly be an area the tench would pass through at some point. The first job was to mix up my groundbait which was made up of one bag of Mistral Baits Spod Mix, one kilo of black crumb and one kilo of ground vitalin. The spod mix contains the fishmeals and oils that attract the fish, the black crumb darkens the mix and the vitalin simply bulks out the groundbait. Six large balls were thrown out tightly to the marker float. Then one pint of hemp and half a pint of casters were catapulted out over the top. 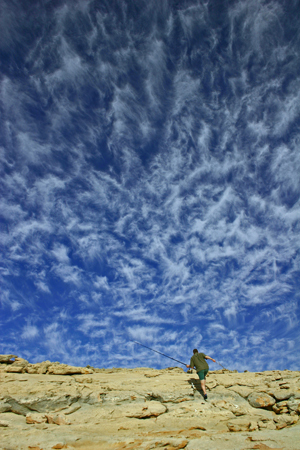 The next job was to wade out with the chest waders and use the weed rake over the top of the bait. I knew the raking would stir up the bait so that the piles of groundbait would be dissipated over a wider area and that some of the hemp and caster would be buried. The tench would really have to work for their food and their digging would disturb the bottom and hopefully attract more tench. The coloured water and splashing of the rake may spook the fish initially but tench will usually investigate only minutes after the commotion has stopped. Despite setting off at 4am it was now noon and it was time to prepare the rigs. After the effort of travelling to venues in other parts of the country it makes sense that the rigs I deploy give me every chance of turning bites into fish on the bank. If you’ve ever had the pleasure of being able to watch tench feed in clear water, at close range, you’ll know how fickle they can be. They’ll often move through a swim in small group, tip up, almost on their heads and begin feeding with absolute precision. Each tiny food item, such as hemp, casters, maggots and so on will be inspected before a decision is made about whether to eat or not. 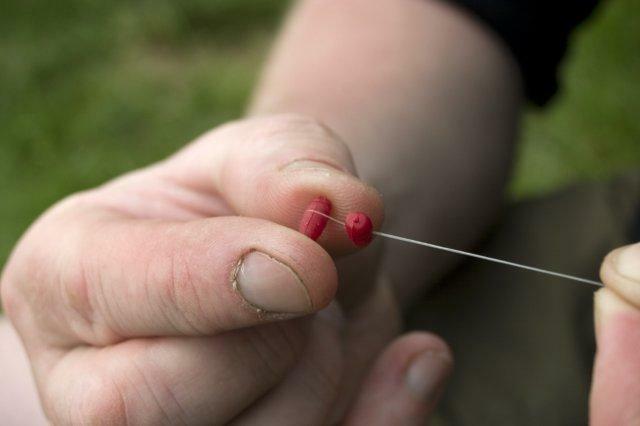 This is in complete contrast to species such as barbel and carp that will often hoover up multiple baits in one go. 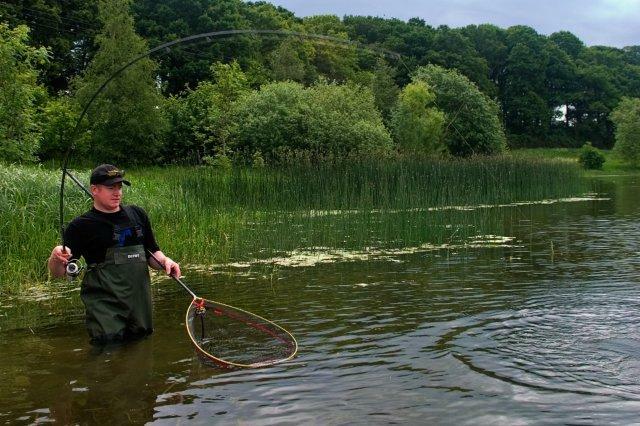 This is why tench fishing can be so frustrating at times – why we often seem to have a swim full of bubbling or rolling fish yet we can’t get a positive bite that we can hit. Some people put that down as just one of those things but to me it’s a challenge. There’s always room for improvement. 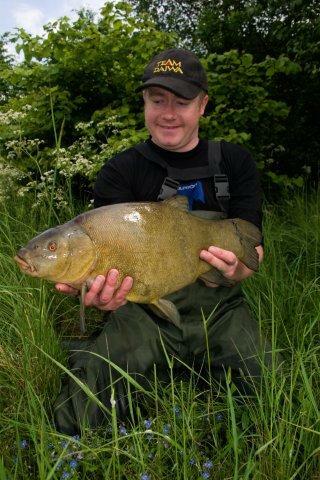 A couple of years ago I was lucky enough to be able to target tench on a local brick pit. 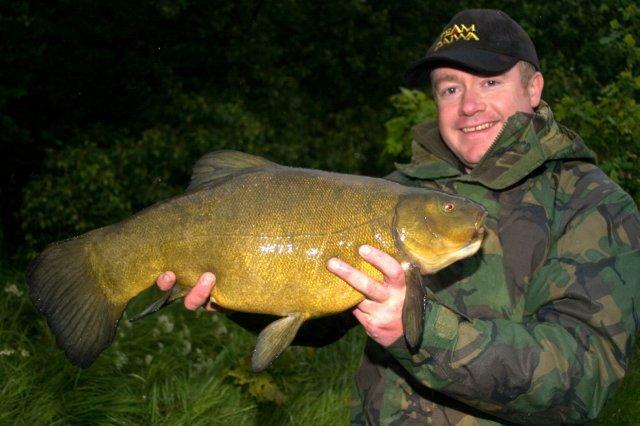 I’d fished the venue as a youngster, many years ago, but in recent years the water had become clear enough to allow me to observe the tench, their feeding habits and how they reacted to my tactics. I spend many hours up trees, watching the fish rather than actually trying to catch something. 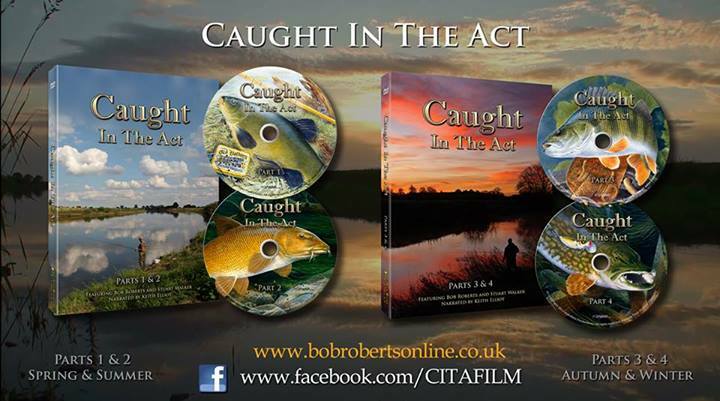 Many anglers would see that as time wasted but I see it as time invested. 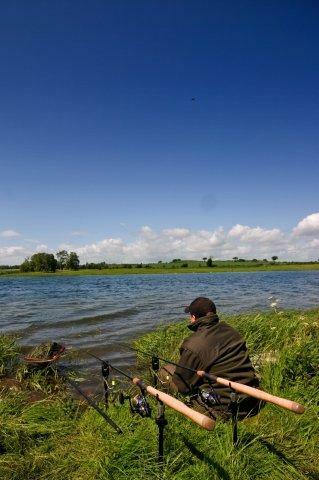 I’ve been able to develop and tweak my tench rigs on my home waters and they’ve worked a treat on venues like Sywell. At one end of a 3ft length of Esp leadcore is a Korda stick clip to which I attach a 56g open end Fox feeder. I’ve found the Esp leadcore and Fox feeders to blend in best with most river and lakebeds and I feel we can only gain from paying attention to hiding the rig. A super short hooklength is held on the leadcore by two of the new Esp beads. These are pierced through the side using a leadcore splicing needle before being slid onto the leadcore. I like to set the hooklink within a couple of inches of the feeder but if I think the fish are backing off I’ll happily set the hooklink to sit a good foot away from the feeder. The leadcore is attached to the 10lb Daiwa Infinity mainline using a Palomar knot. The hooklink is the important part. You’ll notice that it’s really short. When using longer hooklinks of 3” or so I’ve been able to watch tench pick up the hookbait and move to pick up more food and the hook has simply fallen out without taking hold. With a shorter hooklink the hook catches hold while the tench are moving to pick up the next bait. The stiff fluorocarbon hooklink material and with the artificial casters being attached D-rig style makes it difficult for the fish to eject the hook so they tend to bolt meaning the 56g feeder pulls the super sharp hook home. I’m a massive fan of the Drennan Super Specialist barbel hook as it’s the only size 14 hook I know of that’s as strong as it is, is Teflon coated and has an eye large enough to be able to use 12lb fluorocarbon D-rig style. Heavy bobbins (the fantastic, sprung, Solar Quiverlocks) and low rod tips help keep the line tight and close the bed of the reservoir. I don’t believe that any rig is perfect in all circumstances but I’m confident that this rig will give you a great chance should a monster tench pick up your hookbait. Anyway, back to the fishing! Both lines were marked with pole elastic to ensure the feeders would land right in the middle of the baited area. 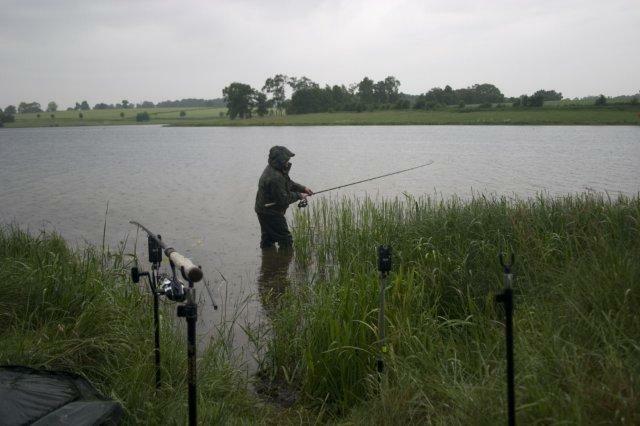 The water was still coloured from the raking when one of Bob’s rods was away. A short fight saw a huge grin appear on his face as he landed a 6lb male tench. Minutes later it was my turn as I banked a slightly larger female fish. It had been a promising start but an hour later nothing else had happened so it was time to make something happen. Bob had waded out and was catapulting more hemp over the top of his baits when his bite alarm signalled another take and another 6lb plus fish. It happens so often and yet I’m still amazed at the frequency tench are caught while bait is being fired, thrown or spodded in over their heads. Why do they pick up the hook bait instead of the bait falling through the water? A fish of just over 7.5lb to me and one just over 8lbs to Bob and we were both over the moon. 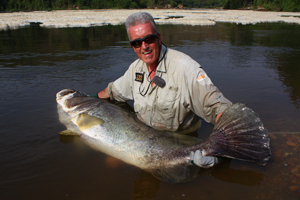 These fish were bigger than we’d hope to catch back home in Yorkshire. After a promising start things went quiet and at tea time a weather front brought a cold wind and rain. Just as we were thinking the action was over, Roger Thom, the delightful chap who runs the fishing on Sywell, turned up for a chat just as Bob’s bite indicator was smashing into his rod. This one was even bigger at 8lb 12oz. 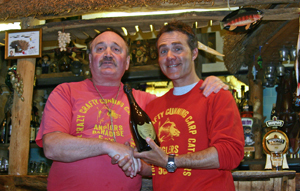 It’s funny but it always seems that the best fish are caught when Roger turns up! As the light was fading and the rain getting very heavy indeed one of my Delkims signalled another run. All thoughts of the unpleasant weather went out the window when the fish on the other end frightened the life out of me by stripping line from my tight clutch and effectively dragging me out into the water so I could attain some semblance of control. For a few minutes I was unable to gain any line and feared that the fish would snag me in the thicker weed. 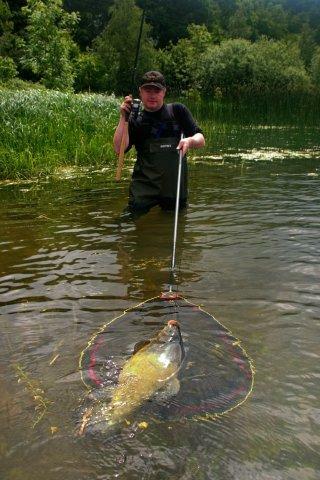 Eventually I made headway and a big tench lay in my landing net. The scales said 9lb 5oz. I knew the fish would certainly break into double figures over the next few weeks as part of the spawning cycle. Another take in the middle of the night saw fish of a tad under 8lbs take a trip to the bank. And that was that. The rain had continued all night and all morning but packing up all the wet gear, the soaking we got on the way back to the car and the long journey home were only a temporary inconvenience while the memory of those tench will last for years. 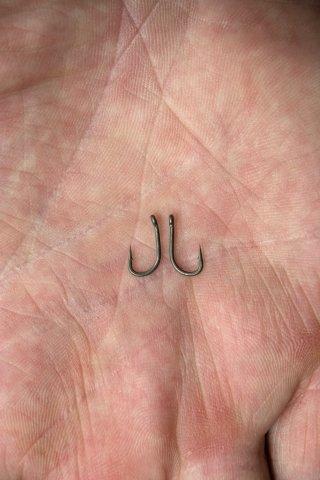 Because of the rules at Sywell I used a size 14 Gamakatsu GP202 barbless hook. I used 8lb fluorocarbon because 12lb won’t fit three times through the eye of a GP202. I didn’t mention it in the text but the hook lies flat but the artificial casters sit one on top of the other with the lower one resting on the deck. 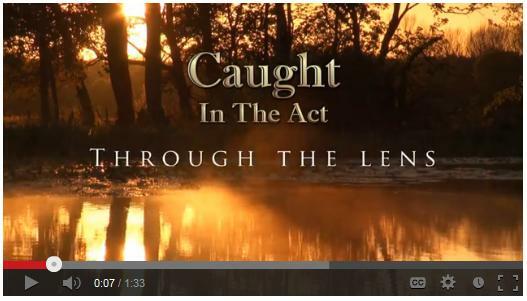 I’ve seen tench move over a baited area and go straight for the hookbait instead of all the hemp and caster feed. Amazing! I can only assume that it’s because the upper caster is easier for the fish to pick out from their low viewpoint. The artificial casters must be tied onto the d using strong line otherwise you’ll loose them during the take or fight. I use 5lb 14oz Reeflo Powerline. 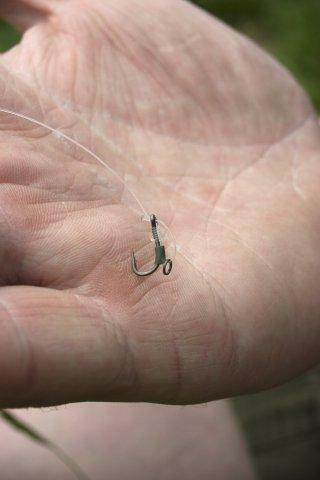 I straighten the eye of the hook so the stiff line sits at less of an acute angle. The loop at the rig ring end of the hooklink is important to allow the stiff hooklink to pivot. This means the tench can take the bait easily. 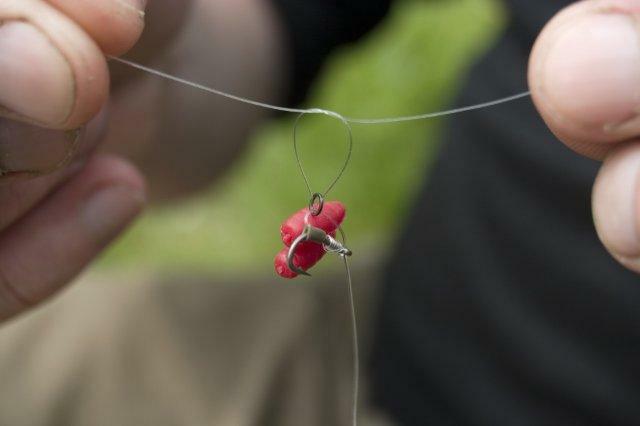 Without a loop the stiffness of the hooklink would be a hindrance. 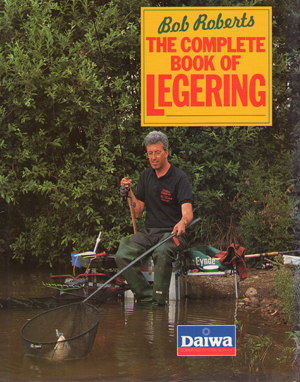 Take waders or chest waders as it will help with the baiting up, raking and landing of fish. Don’t be afraid of fishing close in. The tench will patrol the marginal weed. 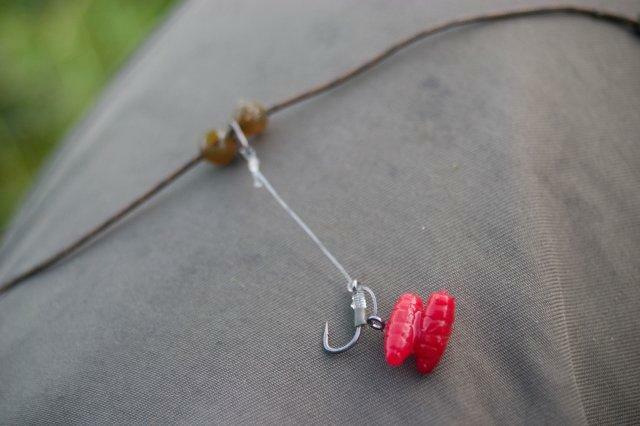 The rig may take longer to tie but it’s far more effective than just sticking casters on a hook. It’s worth the effort. 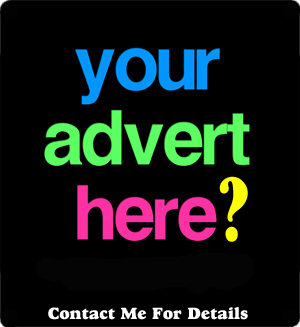 Use good quality, fresh casters. Be proactive with your feeding. Make it happen! This entry was posted in Tench and tagged Daiwa Caldia, Daiwa Infinity, Delkim TXi, Drennan Barbel Hooks, Gamakatsu GP202, Matt Brown, Solar Quiverlocks, Sywell Reservoir, Tench by Bob. Bookmark the permalink. This morning I lost the Barbel of my dreams. I hooked a huge fish at 4.am and played it for several minutes before loosing it at the net.For the second time this season I have lost a big barbel due to a Drennan Barbel hooks opening out. The same thing happened last year, but I put it down to a bad batch of hooks.I have put my Barbel rods away for the next few years,but the hooks have been put in the bin. I have never had a Drennan barbel super specialist open out on me although I have had 2 old style super specialist open out in the past. One was a deffo a carp ( because I saw it) the other was possibly a catfish as I was fishing with 5 inch of eel at the time. Which test curve are the daiwa infinitys? I’m looking at a set myself for barbel and tench fishing and undecided as to which one to plum for! 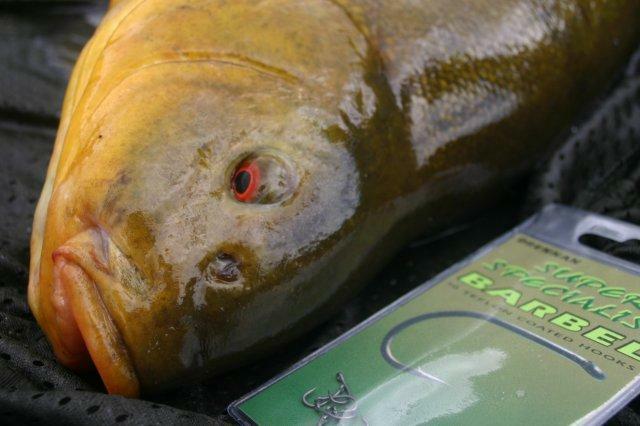 The Infinity Barbel Special is available in 1.75 and 2.25lb test curves. 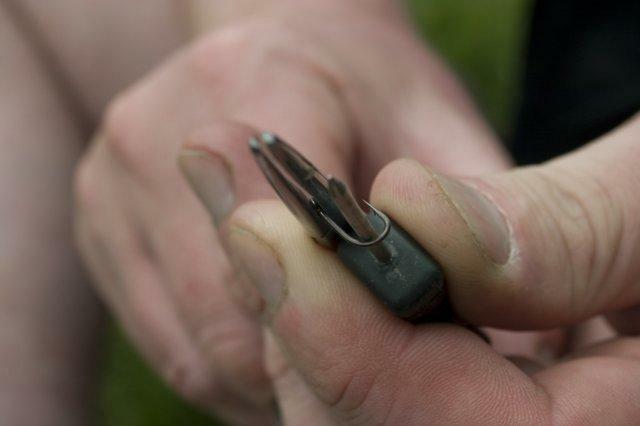 I use the lighter ones for my tench fishing and much of my barbel fishing. The heavier rods come into play on the Trent if I am chucking big feeders. They also make a lovely rod for floater fishing, light carping and big bream. Hope that helps. I guess 1.75lb would be the best all round tool, thanks for the reply.